XLR to XLR balanced cables. Enhanced™ Isolda Deep Cryogenic Treated (EDCT) copper. Inductance: 0.5uH. Capacitance: 25pF. Resistance: 50mohm. Leakage: >350Mohm. Impedance: 52ohms. Neutrik XLR connectors. From 2 to 3m. Pair. Townshend Audio strives to make the most transparent, revealing and uncoloured audio products possible. The importance of scientifically designed and fully engineered cables is hard to overestimate. a technique that is so effective it has been copied across the cable industry and beyond. We have now gone a step further and developed Fractal-Wire™. This gives copper wire a characteristic of absolute silence and unbelievable purity. Initially, we incorporated Fractal-Wire™ into the signal connections and transformers of our components, but now we are also offering F1 Fractal-Wire™ interconnects. Most cables merely change the balance of a system, where as the all range of Townshend cables has been developed to give the greatest transparency with the least amount of character. Put these cables into a well-balanced system and it will reveal more, much more, guaranteed! Your system will deliver deeper bass, more open midrange and greater treble sparkle than anything else. We are so confident in the quality of these cables and the enhanced sound that you will enjoy, that we are making them available with a seven days money back guarantee to all customers worldwide*. Do you want to discover what transparency really means? The award-winning DCT 300 and Fractal-Wire™ interconnects are the result of fifty years of research and development and their sound is nothing short of a revelation. The Isolda DCT Digital Interconnect maintains the precise sharp transition of the digital signal so that no jitter is added; the digital signal arrives intact without any echoes of itself caused by impedance variations. Have you ever heard truly 3D stereo? 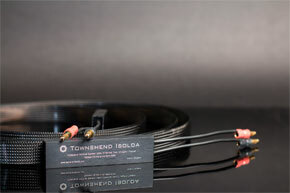 The unique topology of Townshend Audio Isolda means that its imaging skills are dramatically greater than any other speaker cable. DCT 300 has been winning awards since 2002 for its open, uncoloured sound and world beating transparency. The secret is in the 99% air insulation. 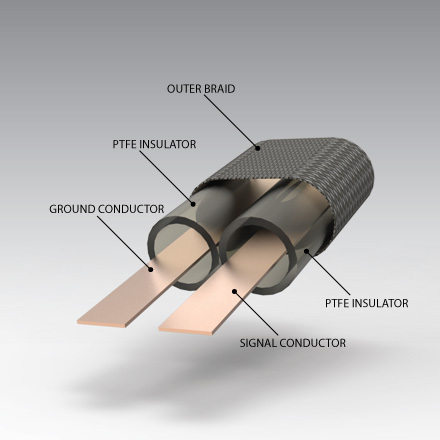 All insulation materials add distortion to the signal so we place bare thin copper strip conductors into thin walled PTFE tubing where only the edge of the strip is in contact with the insulator. We use Enhanced™ Isolda Deep Cryogenic Treated (EDCT) copper because it consistently outperforms all other materials in terms of transparency and neutrality. 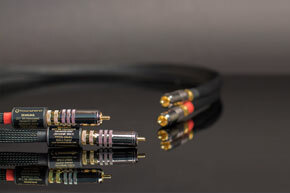 Termination is by audiophile grade locking collet gold plated RCA phono plugs. DCT 300 balanced is fitted with Neutrik XLR connectors. 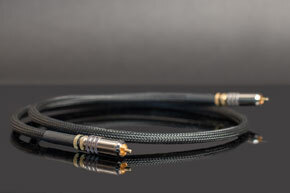 Warning: Townshend Audio cables are designed to offer maximum transparency for their price, unlike other cables they are not a substitute for tone controls.